England, USA, Italy, Germany and France. 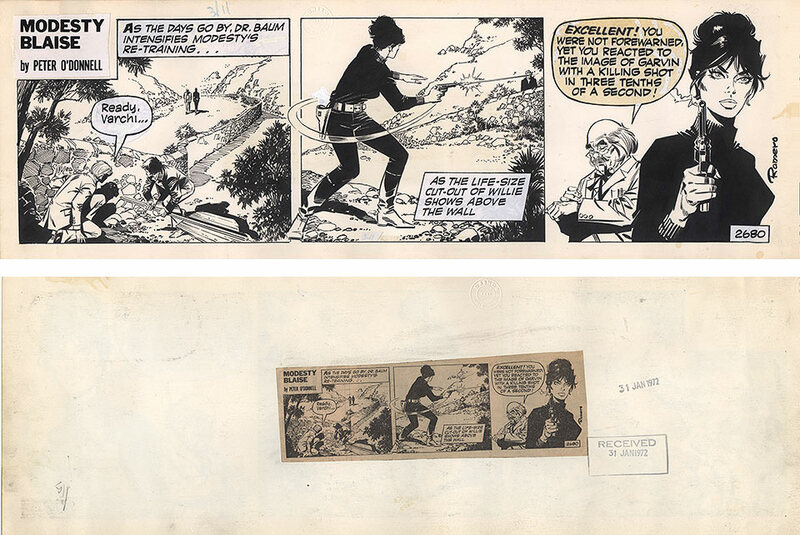 In 1970 Romero began his association with writer Peter O’Donnell on Modesty Blaise strip. He drew the Modesty Blaise until 1978 and then collaborated with Donne Avenell to create the science-fiction series AXA for the English tabloid newspaper The Sun. In 1986 Romero returned to Modesty Blaise and remained with the strip until O’Donnell retired in 2001. In 2002, Romero was commissioned to draw a graphic novel adaptation of the Modesty Blaise short story “The Dark Angels“.